I have so many photos of gardens and days out that never get posted (no time grrrr) so I am going to try and start as I mean to go on in 2014. 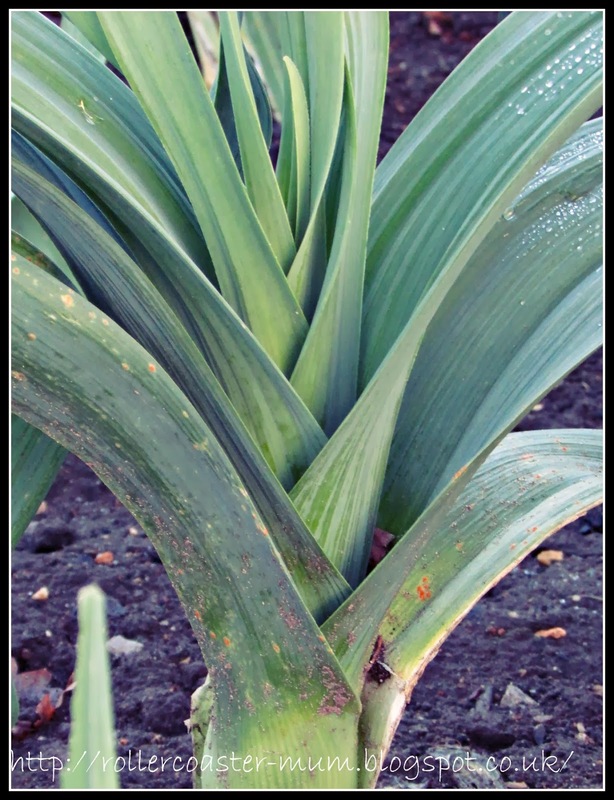 Kicking off with a post for 'How does my garden grow' over at Mammasaurus. On a rare clear sunny day in the Christmas holidays we set off for RHS Wisley gardens to follow the enchanted story trail for the kids and for me to have a play with my new camera - so apologies for a slightly excessive number of pics. 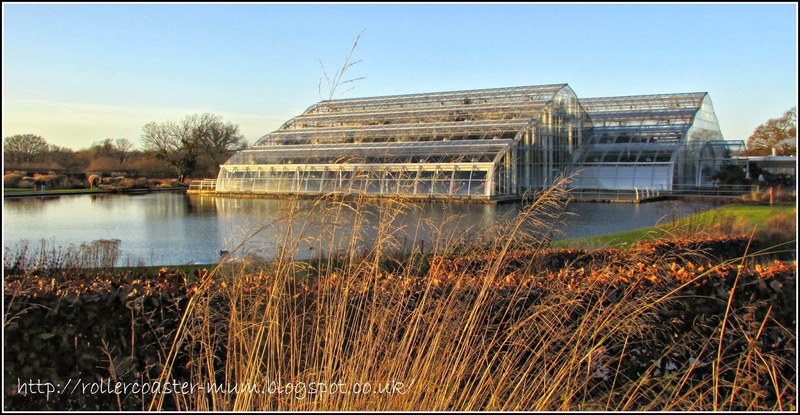 It looks like it may be nice again this weekend if you fancy a trip to Wisley (although the story trail has now gone), or you could go next week and they will have the butterflies in the glasshouse again (they are there until the beginning of March.) 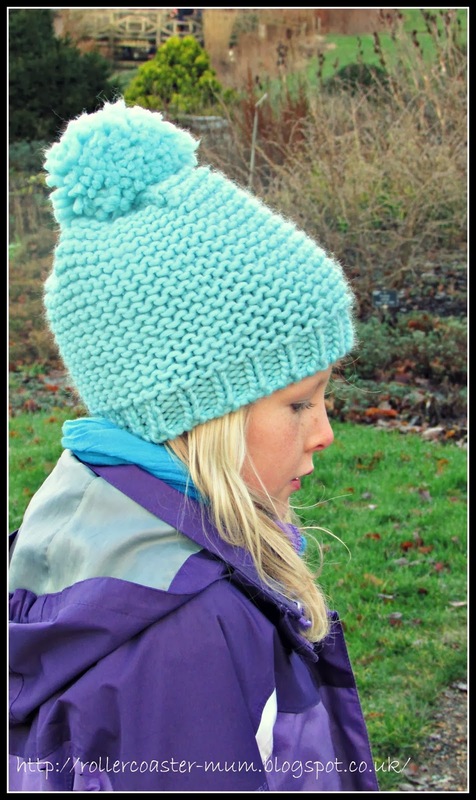 The girls enjoyed the story trail and running around the gardens but I was mainly taking pictures and experimenting with my new camera! The house and canal with the fountain - taken while the girls were being entertained with stories of pirates and avocados in the Loggia! 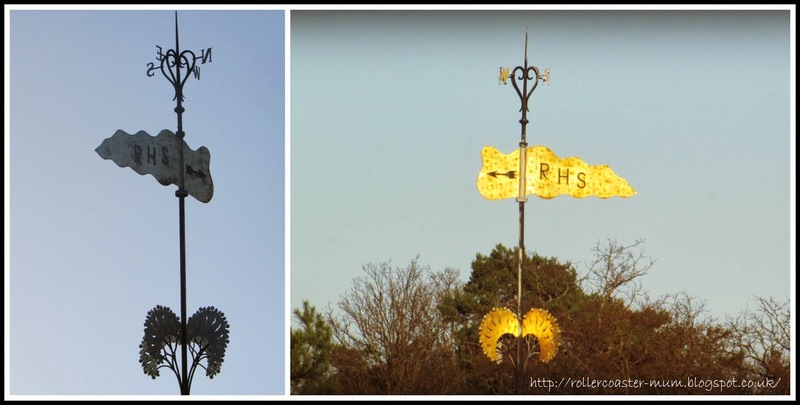 The weathervane on the Loggia - experimenting with my new big zoom and different lights. Not sure what this is but was experimenting with closer shots with new camera and I liked the shape and colour. 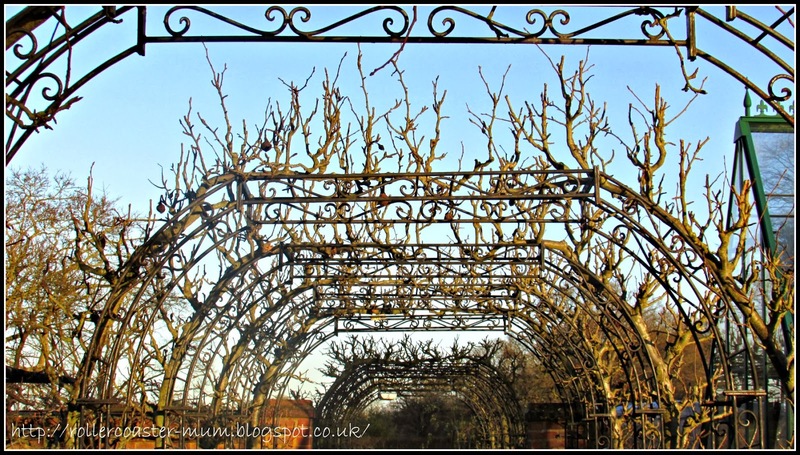 Loved the shape of these fruit arches in the fruit demonstration garden. 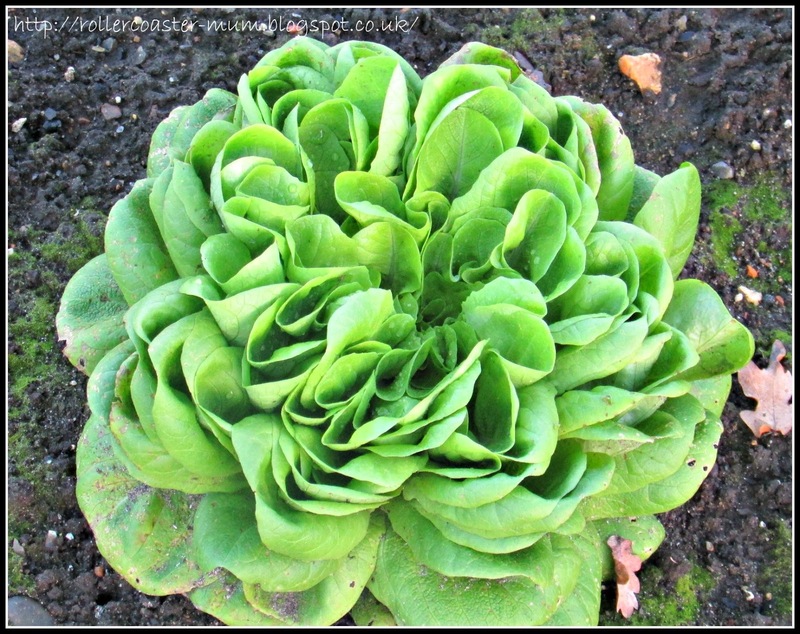 Pretty sure this one's a lettuce - looks good anyway! 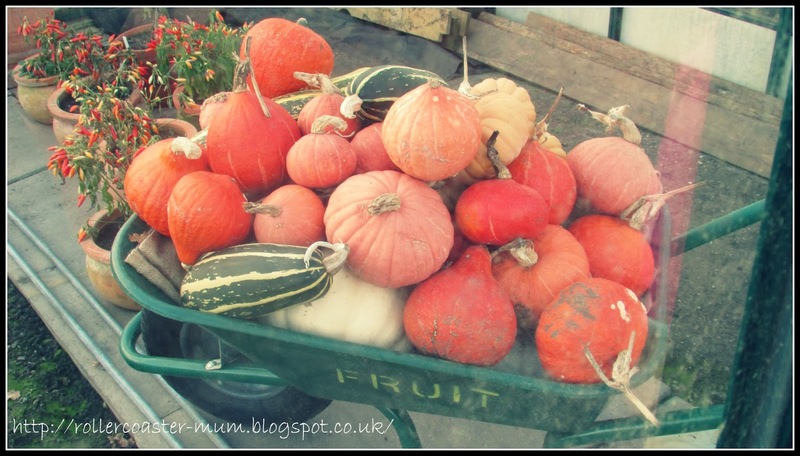 The greenhouse in the veg garden still looked great with the autumn pumpkin and gourd decorations. Little Miss watching the ducks on one of the ponds in the Rock Garden - one of them was whizzing around in and out of the water and being very funny. 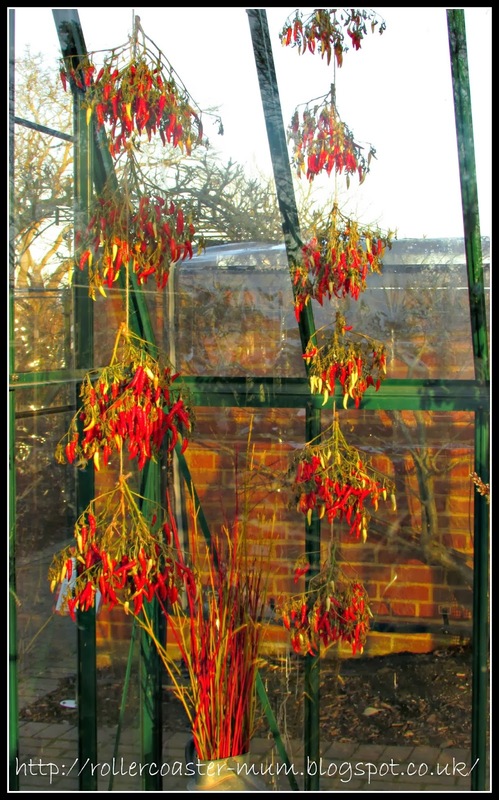 The Glasshouse looking rather lovely in the winter sunshine. Experimenting with taking pictures into the sun at the Glasshouse lake. 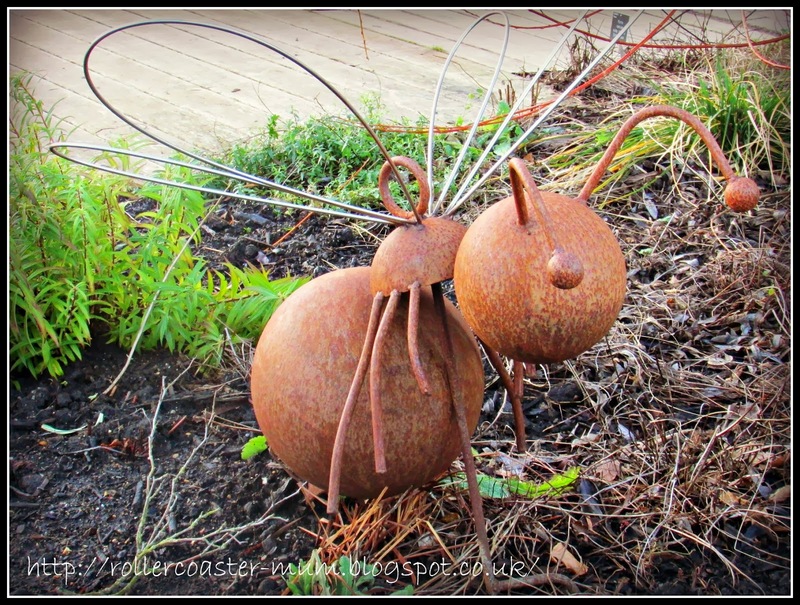 Though this fly/ant sculpture was rather cute! What great photos and a jolly good place to visit - or so I hear form many others too. Love that giant parsnip!!! Thanks for joining in again and sharing - I'll be dreaming of fruit arches tonight now! 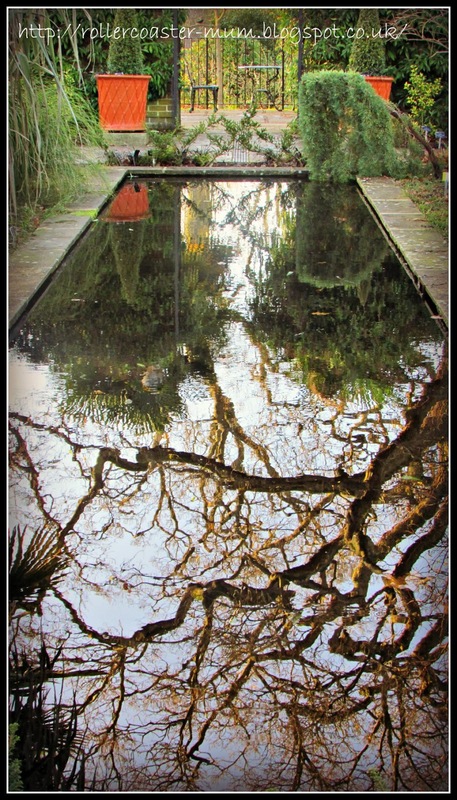 Some fab photos there, love the giant fan palm, the chillies and the reflections x #HowDoesYourGardenGrow? I went to Wisley back in the Summer for my birthday,It such a gorgeous place to visit with all the different areas of planting. I went there before and love it! You have stunning photos! Oh gorgeous pictures. Looks like a lovely place to visit! Charley over at PodcastDove has written about going here recently - and makes me really want to go! You've just added to that! Wonderful photos of a truly beautiful and magical place, no wonder you keep returning. 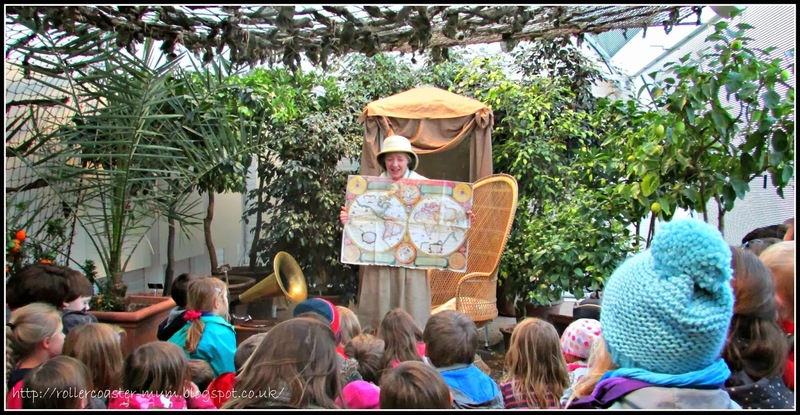 It's great to hear that they have activities for the children and having butterflies in the glasshouse sounds lovely. Thanks for linking up and sharing your visit with Country Kids. LOVE that reflection! The light at the moment is lovely, isn't it, when you manage to catch it! Looks like a great place to visit for outdoor fun! Wow those photos are awesome. 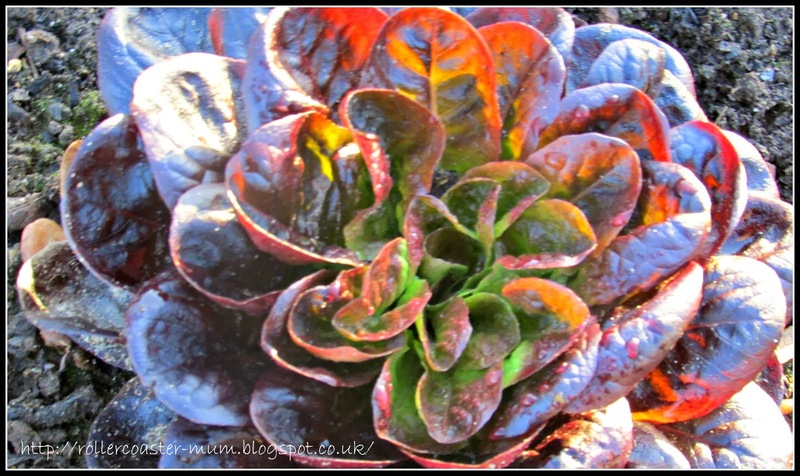 Wonderful photots, you've even made lettuce look beautiful. I must go out a practise with my camera now! I was digging the new camera shots (see what I did there....), I especially like that close up of the red and green foliage. So pretty. 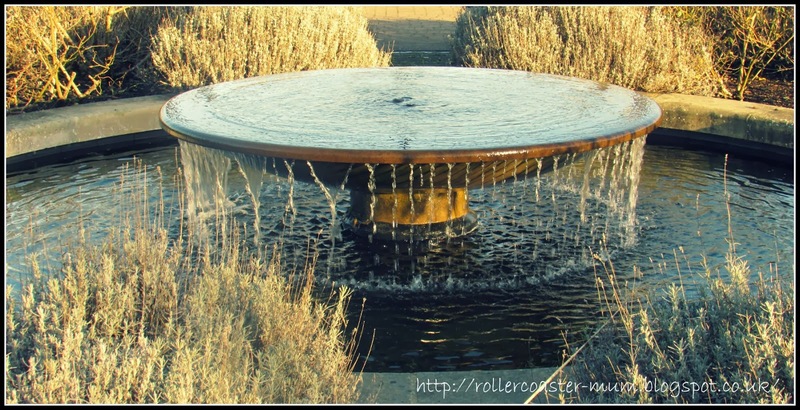 Gorgeous pictures - the walled garden looks like our sunken garden at school did years ago! Wonderful pictures! 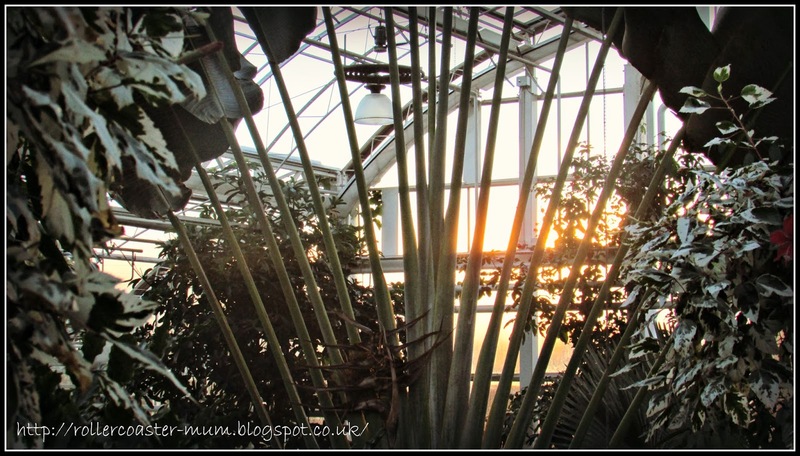 It's be ages since I last went to RHS Wisley, and now you've inspired me to add it to my list of places to take my son to. Lovely photos. And you found a sunny day to capture it all! 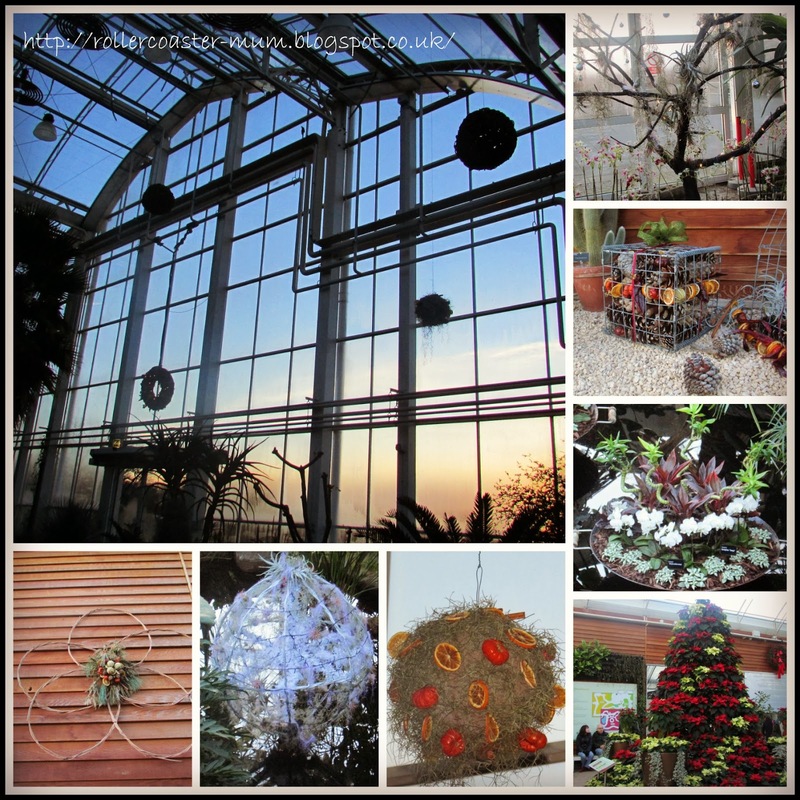 Be never been to Wisley, but it looks lovely. I'll have to give it a go next time mother in law goes. Fantastic pictures. I think my favourite is the fruit arches.